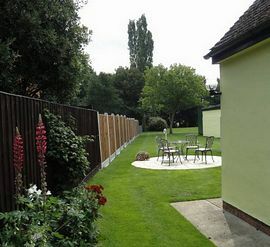 Casita is situated on the edge of the village of Gosfield in a great location for a quiet and peaceful holiday. 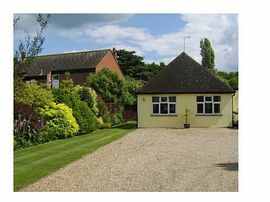 A completly self contained self catering cottage for 2 people, adjoining the owners property. Maintained to an excellent standard and all on ground level. Casita consists of a comfortable lounge with sofa and flat screen T.V. also DVD/CD player. This room has new carpet and furniture. 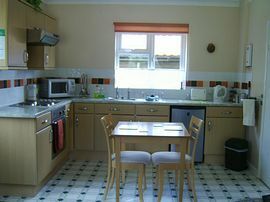 Fully equipped kitchen with table and chairs, hob and oven, fridge, microwave, iron and ironing board. 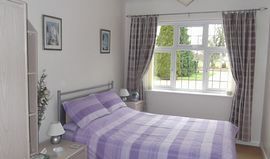 Inner hall leading to the newly decorated and relaxing bedroom, with a double bed and ample storage space, clock/radio. There is a shower room with power shower, hand basin and toilet. Private well kept garden with patio table and chairs. Ample off road parking space for 2 vehicles. 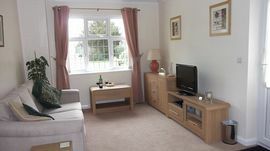 Casita is situated 2 miles from Halstead and 6 miles from the market town of Braintree. Only a short walk from Gosfield Lake where there is an Indian Restaurant, also water skiing and fishing is available. Gosfield Hall Essex's 2nd largest Country House is across the field opposite. There is lots of open countryside for leisurely walks. Gosfield has its own nature reserve and Golf Course. Stansted airport is approx 30 Mins drive. The coast is only about an hours drive, offering busy resorts or quieter places to enjoy. There are also many picturesque and interesting villages in the surrounding area to explore. There is a newsagents shop and 2 good pub restaurants in Gosfield within walking distance. Nearest town for supermarket, banks etc is only 2.5 miles. Garden with private patio area,table and chairs. You are welcome to roam our 2 acre garden and woodland. Local Services: Newsagents/shop short walk. Buses to Chelmsford, Witham and Sudbury. Gosfield has a golf course. From A1017 turn into Church Road at Kings Head P.H. in Gosfield. As you approach Gosfield Church after approx 500yds we are on the left hand side almost opposite the church. £300.00 per week April - October. £60.00 per night for short breaks of 3 nights or more. Enquiries welcome for longer stays. A refundable good housekeeping charge of £100 is payable on all bookings.